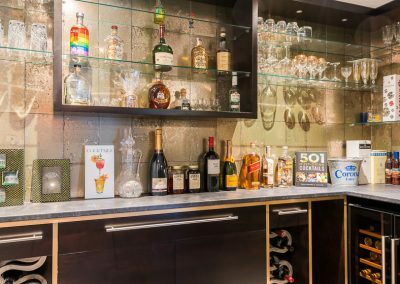 A star studded ceiling cinema screen and bespoke cocktail bar bring Holywood Glamour to a North London family residence. 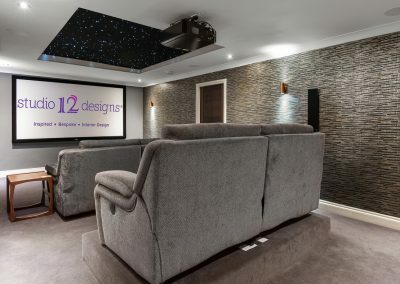 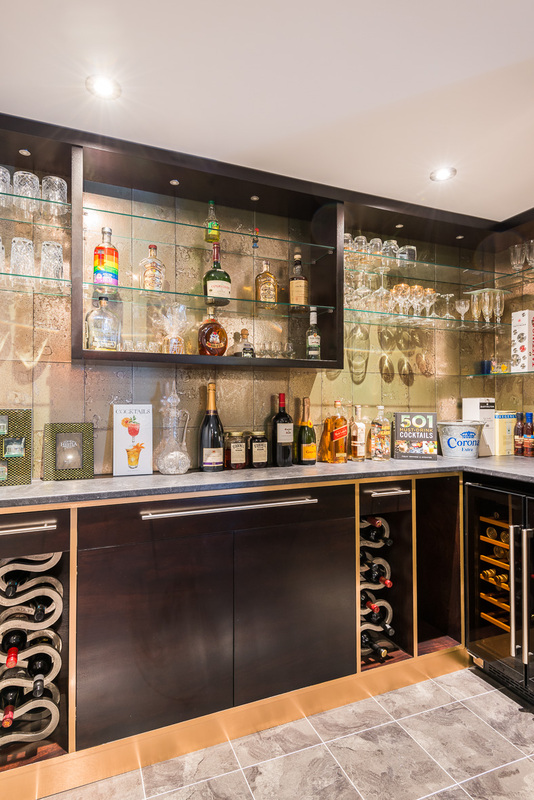 A palette of metals, wood, antique glass and luxurious velvet textures were used to transform an under-utilized garage into a complete home entertainment centre for family and friends or in quiet moments a personal chill-zone. 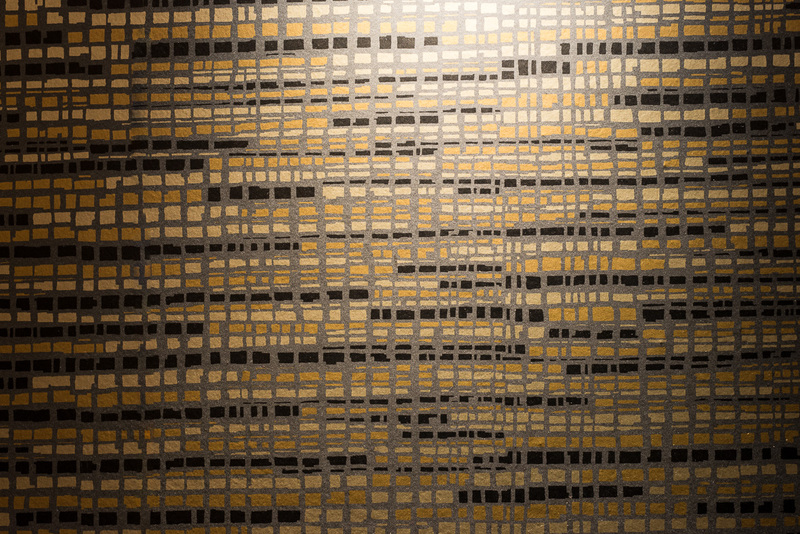 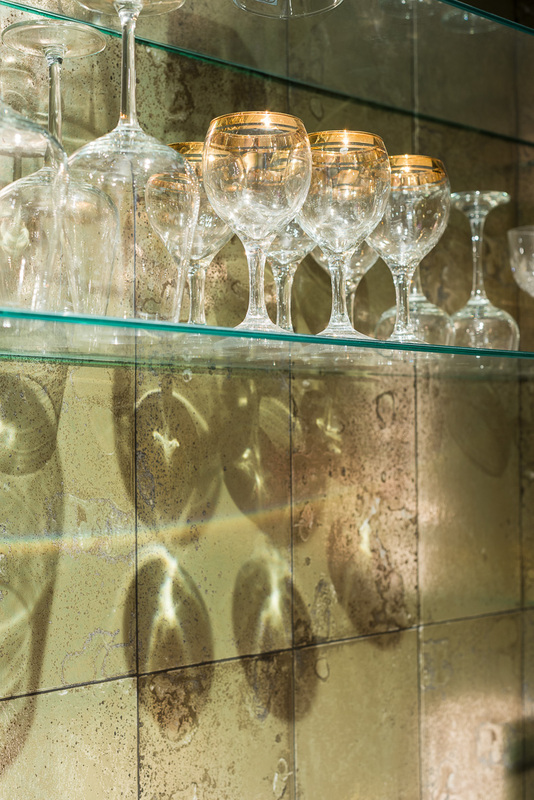 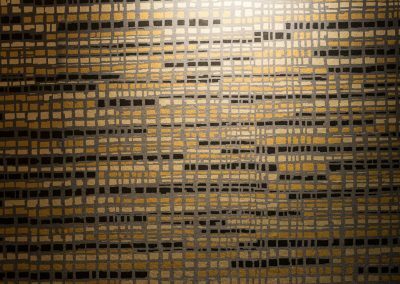 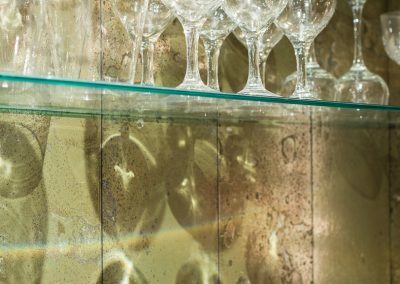 The wallpaper by Jane Churchill reminded us all of cine-film tape and was the inspiration for the copper and silver detailing for the bar.